Today we take time to celebrate brothers! Whether you grew up with a brother (or a few) or have a friend you love like a brother, today’s holiday gives you a terrific reason to get in touch, relive some old memories, and make new ones! When the weather warms and kids’ thoughts turn to sports, the afternoon air rings with the sounds of slamming doors as players race from home to the baseball diamond. Back in the 1920s and ‘30s, the same door slammed not once or twice, not three or four times, not even eight or nine! The door shut behind 12 brothers! Anthony, Joe, Paul, Alfred, Charlie, Jimmy, Bobby, Billy, Freddie, Eddie, Bubbie, and Louie Acerra. These 12 boys also had 4 sisters—but this is a story about baseball, and back then girls didn’t play ball. Copyright Steven Salerno, 2012, courtesy of stevensalerno.com. It could be said that “baseball set the rhythm of their lives.” Neighbors couldn’t remember a time when Acerra boys weren’t throwing or hitting a ball or running the bases at the local park. And there was an Acerra on the high school baseball team for 22 years in a row! In 1938 the nine oldest brothers formed a semi-pro team and competed against other New Jersey teams and teams from New York and Connecticut. Their dad was their coach. The brothers all had different skills—Anthony could hit homeruns, and even hit a couple into the Atlantic Ocean from a seaside park; Charlie was a slow runner; and Jimmy had a knuckleball that was unhittable and uncatchable. But playing had its dangers too. In one game Alfred was going to bunt, but the ball bounced badly off the bat and hit him in the face. He was rushed to the hospital, but the accident caused him to lose an eye. Everyone thought he would never play again. But after he healed, his brothers helped him recover his skills and his courage. During World War II six of the brothers joined the war effort and spent years apart. Far from home they dreamed of the days when they played together on warm afternoons. When the war ended all the Acerra boys came home to their very happy mother. The brothers got back to what they loved doing best. Now Anthony was their coach, and from 1946 to 1952 they won the Long Branch City Twilight Baseball League championship four times—much to the pleasure of the crowds that came out to watch the Acerras play. As time went on the Acerras got jobs, married, and had families of their own. In 1952 the brothers played their last game as a team, having made history as the longest-playing, all-brother baseball team ever. Even though the Acerras played many, years ago, people have not forgotten them. In 1997 they were honored by the Baseball Hall of Fame. The surviving seven brothers made the trip along with one sister and more than a hundred relatives. Now Jimmy Acerra’s uniform and glove are on display alongside exhibits about Babe Ruth, Ty Cobb, and Willie Mays. If you visit the Baseball Hall of Fame, you can see them too! Interesting and personal author’s and artist’s notes follow the text. Baseball fans will love Audrey Vernick’s exciting, true story of this most unusual team. Her focus on the close relationship of the Acerra brothers elevates the tale from merely a sports story to one that reveals deep affection and support during difficult times. The different personalities of the brothers shine through in Vernick’s easy, conversational tone, and the inclusion of the Acerra brothers’ induction into the Baseball Hall of Fame shows that this story lives on for all generations. Steven Salerno’s evocative illustrations will transport readers into a past where neighborhood leagues enjoyed the same level of loyalty as the majors. Capturing the brushed style, colors, and portraiture of pictures of the period, Salerno shows kids not only what it meant to be a baseball player in the 1930s and 40s, but what it meant to be a family. Discover more about Audrey Vernick and her book on her website. To learn more about Steven Salerno, his books, and his art, visit his website. Today is all about your brother and how great you think he is! 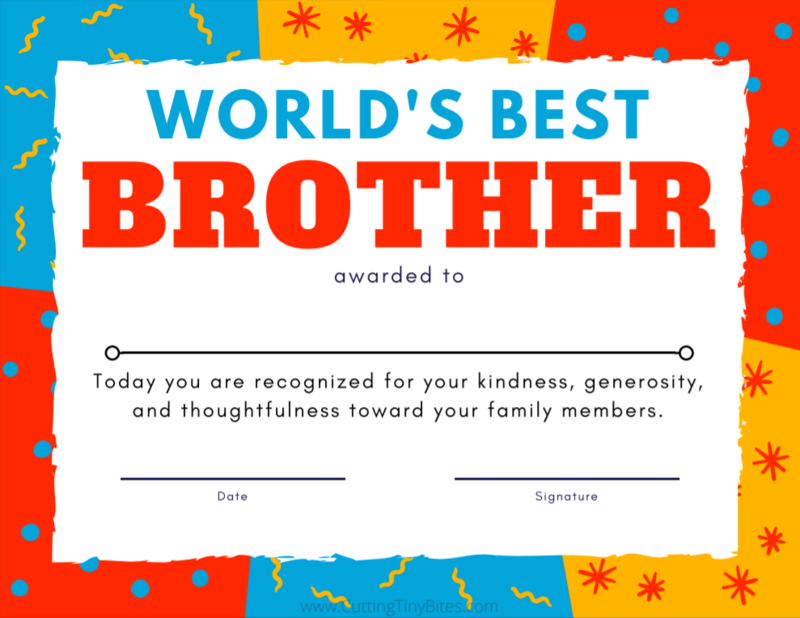 Print and fill out this Best Brother Award Certificate and give it to your brother—or brothers! This month we recognize all the parks—national, state, local, and more—that provide fun and recreation for those who love the great outdoors. There is perhaps no sport that combines the physical aspects of “park” with the spirit of “recreation” quite like baseball. The crack of the bat connecting with the ball for a home run, the thwack of an outfield catch, the collective cheers, and the aroma of ballpark snacks all mix to create a perfect outing—whether your team wins or not! Joe DiMaggio wasn’t like other well-known players. He was the son of immigrants and grew up in San Francisco with eight brothers and sisters, working in the family fishing business and selling newspapers to make extra money. He was used to hard work, and this ethic served him well as a baseball player. Everyone knew about Joe’s bat “Betsy Ann” and the care he gave her. He had treated her wood and sanded her handle, shaving off “fractions of an ounce until she fit his hands alone. Betsy Ann was his treasured ‘ball bat,’ used for games only.” When Joe faced the pitcher at the plate, he didn’t go through an elaborate routine. His wide-legged stance was well recognized by fans who knew he would get the job done. And that summer in 1941 he did. He and Betsy Ann “whipped around, smashing fastballs, knuckleballs, screwballs, and curves. DiMaggio could hit off anyone, any pitch, anywhere.” Soon he was in sight of the record—41 games. Every pitcher wanted to be the one to end Joe’s streak, and with each game America was on the edge of its seat. Joe felt the responsibility. He didn’t show it on the field, but in his off time he hardly slept, his stomach hurt, and he couldn’t eat. The streak continued—38…39…40. Tying the record at 41 and breaking it would come in a doubleheader against the Washington Senators. The bleachers were packed that hot 29th of June. In the first game Joe tied the record. The second game would test Joe’s mettle. When his turn at bat came, he reached for Betsy Ann. She wasn’t in the dugout. He saw right fielder Tommy Henrich taking practice swings and yelled to him that he had Betsy Ann. But he didn’t. All the Yankees players searched the dugout for Joe’s bat, but Betsy Ann was nowhere to be seen. Someone has stolen her. Joe focused on the game, rounding first on his way to second base. But suddenly with the cheers of the fans ringing in his ears, his accomplishment settled in. “He tipped his cap, flickered a smile, and trotted weak-kneed back to first.” He got a pat on the back from the first base coach, a handshake from the Senators’ first baseman, and adoration from the kids and adults in the stands. With one hit—and 41 more—Joe was America’s hero. A week later Betsy Ann was found in New Jersey and given back to Joe. His streak continued to 56 games, and he helped the Yankees win the 1941 World Series. When America became involved in World War II, people could remember “watching sureness and strength win against impossible odds. The country learned to pull together and celebrate together. It was ready to go to work” the way Joe DiMaggio had. Barb Rosenstock sets this poignant biography of one of baseball’s greats firmly within the atmosphere that made Joe DiMaggio’s achievement about much more than baseball. With prose that echoes DiMaggio’s gentle strength, Rosenstock recreates the excitement, growing suspense, and mystery surrounding his phenomenal streak. With lovely, flowing description Rosenstock deftly sprinkles in DiMaggio’s working-class immigrant background, his emotions, and historical events, giving The Streak depth and resonance for today’s readers. Accompanying the text are Terry Widener’s dramatic paintings. Opening the pages is akin to strolling through an art gallery exhibition. The depictions of the players swing, twist, slide, and throw with realistic action. As an infielder fumbles DiMaggio’s hit in one foreground illustration, Joe can be seen in the background dropping Betsy Ann and taking off for first base. DiMaggio’s signature stance, the frantic search for Betsy Ann, DiMaggio’s weariness, and the press that followed his every swing are all gorgeously rendered in muted tones of green, gold, and brown. Sports fans will love the pictures of the baseball stadiums and the close-up view of Betsy Ann. An extensive Author’s Note, DiMaggio’s career statistics, and resources follow the text. The Streak: How Joe DiMaggio Became America’s Hero would be a welcome addition to any library. 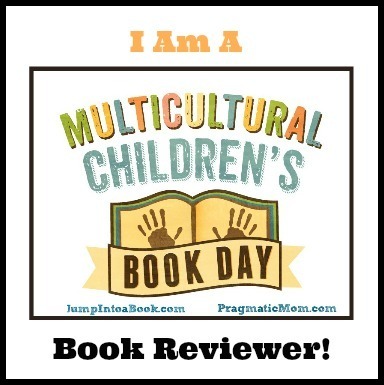 To see more books by Barb Rosenstock as well as extensive educational guides for The Streak and other books, visit her website! Learn more about Terry Widener, his books, and his art on his website! Take a look at the trailer for The Streak—it’s a home run! Diamonds aren’t just for playing baseball—they make great word search puzzles too! Take a run at this printable Take Me Out to the Ball Game word search!